Gift givers have two lists: the naughty and nice lists. When it comes to the nice list, no problem. When it comes to the naughty list things can get tricky. Maybe it's a smug extended family member who gets under your skin. Maybe it's a co-worker who spends half their day talking smack behind your back. Either way, there is nothing like a figurative wrapped piece of coal to say "Merry Xmas" those on your naughty list. I’ve compiled a list of tech gifts suited for those who have been a thorn on your side all year. Neat freak co-workers will hate this smarthphone stand that looks like old chewed-up bubble gum. The iStuck Phone Stand might just have your colleague lose his cool (yeah, that guy whose desk is always immaculately arranged and color-coded). He’ll think you ruined his iPhone with a blob of bubble gum. This gift is for that guy or woman who has chronic bad breath. Sure you could spring for a tin of Altoids, but that's way to polite. 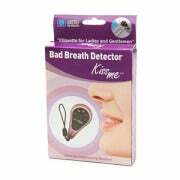 Nothing will make them more self-conscious than this KissMe Meter Bad Breath Detector. You breathe into the device and it tells you, through the indication of green or red flashing dots, whether you’re kissable or not. Be careful about giving off signals that you might want to be kissed, however. Want to finally inform an annoying friend that their house isn’t as clean as they imagine? Give them a pair of Cockroach Swatter Slippers designed by Gracie Murano. Just tell your gift recipient to use the handles of these fashionable (?) slippers to swat bugs in their apartment. Voila! For the Android lover who has been too naggy this year--a bad Android tablet would be the ultimate insult. 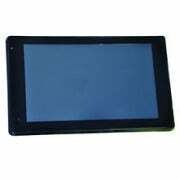 Your Android fan will be asking for the hot Transformer Prime tablet, but give him something to cry about. Far worse than a lump of coal, a slow, junky, and buggy no-name tablet will convey the true extent of your disdain. Need to instill some punctuality in a family member? This feisty Clocky Alarm Clock on Wheels will give its victim one chance to hit the snooze button before it jumps off the nightstand and takes a ride around the room annoying them until it’s caught--and silenced. This is prodigious punishment for the gamer who has earned a spot on your bad list this year (especially when they’ve forgotten to call you on your birthday, again). Getting them an outdated Nintendo 64 game, such as Perfect Dark for their Xbox or PlayStation console, will really get under their skin. Incompatibility Rules! Know a hard-core tech enthusiast who constantly brags about his shiny new gadgets? Give him this useless USB Eye-Massager--certain to leave him outraged and slack-jawed. These devices come with a built-in vibration motor powering the arm and fingers. The motion is intended to relieve eye fatigue, but the fingers would be more effective for starting inter-office poking wars. Itching to delicately tell your rather lazy significant other or family member that he or she needs to lose weight? 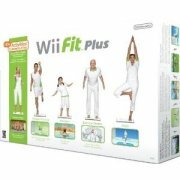 Get them a Nintendo Wii Fit Plus. This Wii game comes with a balance board and tracks the player’s exercise routine to remind them of how lazy they are--careful though, this also makes a mighty bashing-over-the-head weapon. For the bratty college student immersed in the latest technology, get them a 256MB Micro SD Card and show them how it was done back in the day. (That’s when a 256MB’s ability to hold 90 songs was a wonder). The pop culture phenomenon, “hard and b” superstar T-Pain, has a gift for that friend of yours whose bad vocal notes need to be tuned. 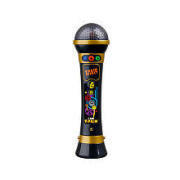 If he or she thinks that their voice is God’s gift to man, give them the I am T-Pain Mic, to show your appreciation of their voice (especially when their voice is masked by T-Pain’s exclusive beats).